Thank you for downloading and installing TSLRCM 1.8.5. This mod's intention is to restore much of the content cut from The Sith Lords, that was lost to the main game due to a rush to release the game. This rush also left the game with a plethora of bugs (some of which also blocked out content, so not everything restored was really "cut"; for example the quest 'Corrun Falt'), so this mod should seriously decrease the buginess that plagued TSL. Be sure to check our website (or ModDB page) for potential upgrades, patches and compatible mods for TSLRCM. Our site will always have the most recent version of TSLRCM, something we cannot, sadly enough, promise from other sources. Also, if you have issues, questions, or feedback, please post it on the official forums, as otherwise it will be read much later, or not at all. After all, we can't monitor the entire internet. 1. If you're using an older version of TSLRCM (1.8.2 or lower), a game re-install is required before applying 1.8.5. 2. After re-installing it's advised to apply the official patch (1.0b). Non-US versions require you to install 1.0a first, then 1.0b, US versions can install 1.0b right away. Make sure to apply the patch that fits your version. Also, after installing 1.8.5, the official patch can no longer be installed! 4. Install 1.8.5. Steam users are advised to use the Steam Workshop download! DO NOT INSTALL INTO THE OVERRIDE FOLDER OR YOUR GAME WILL CRASH! We've had several users on Vista mention that instead of Program files (x86) it would point to Program Files/Program Files, causing the installation to fail. Make sure the installer points to the proper location of your KOTOR2 installation. 5. To check if the installation has succeeded, try launching KOTOR2:TSL. If at the main menu it says "Restored Content Modification 1.8.5" on the screen the installation has been successful. 6. While we try our best to make this mod as bug-free as possible, with the many options of KOTOR2 and our small testing team bugs, critical ones, sometimes make it through. We will fix them, so check our site for any potential updates and patches. We would rather not have people play unpatched and then experience issues like the black screen (1.7) or red eclipse (1.6)! 7. Install any TSLRCM-compatible mods you desire now. If you're unsure if a mod you want is compatible, check our list at our forums, or section 6 - Mod compatibility in this readme. ULTIMATE SABER MOD (USM) IS NOT TSLRCM-COMPATIBLE. MOST REPORTED ISSUES ABOUT TSLRCM ARE FROM USERS STILL USING IT. DON'T! * You cannot use savegames made with vanilla Sith Lords or TSLRCM 1.8.2 or lower. Saves from 1.8.3 and above can savely be used, although some fixes may not take effect. A fresh new game is always the best option for the least amount of issues. * Resolved some AR_Error generation with easter egg background and robes. * Fixed T3 skipped dialogue fix getting broken when fixing Steam dialogue being skipped. * Removed excess dlg's and stuff from 307NAR (only used for Zhug scenes), drastically reducing it's size. * Pre-Malachor: Resolved Handmaiden being present even if she left with Kreia to Malachor. Resolved silent Mandalore line. * Visas sparring: Fixed Weapon Focus: Lightsaber being skipped during reward section. For the english version it now shows what Feat you've gained (if any). * Fixed graphical glitches in cutscenes using widescreen resolutions. * HK Factory: You can no longer trigger HK-50 cutscenes by loading a savegame. Removed dead HK-50 to avoid confusion. * Force Persuading Terlyn will no longer require persuasion skill to succeed. * Onderon Wall: Restored missing Bostuco line, made Royalist single line bark rather than cutscene, fixed minor lipsync issues with Vaklu in palace cutscene. * Trying to (Force) persuade the thug after killing Riiken will now net a dark side gain regardless of success or failure. * Restored Patto line, removed HK part from Akkare store since storespawn was fixed and was already generating a part, leading to him having 2 instead of the intended 1. * Ralon: If you have Kreia and Handmaiden/Disciple they can now both comment on the fabled holocron line. * Malachor Core: Fixed Kreia repeated line by actually intended line. * Fixed several missing awareness and persuasion checks. * Fixed broken T3 interaction with the "meet and greet" droids on Dantooine. * Restored Remote's SFX that was removed by the official 1.0b patch. After 10+ years; it's back! Poor guy! * Moved DS hit for Slavery from Cahmakt to getting your payment in the cantina. This to prevent the rare issue of this hit triggering the Nihilus intro and getting the player stuck. * Fixed crashing issue if you try to enter the Telos Surface Shuttle with Atton or Kreia. * Fixed Peragus Medical Officer speaking the station warning using the Workshop download. * Fixed "double Sion" bug by undoing changes to .ncs (this is the vanilla file). Moved "Elite Sith" further back so it wont ignore you. Fixed Sion lipsyncing Kreia. * Corrected Suulru having the vanilla dialogue attached to him rather than the 1.8.4 version. * Corrected red X missing texture being visible in Tobin call pre-Freedon Nadd's tomb. * Resized TSLRCM logo and hyperspace texture. This should fix several (framerate) issues certain configurations had with them. * Added eye-flashing of HK's to all HK-50 encounters. * Fixed infinite lightside and Atton influence exploit in the Telos Academy. * Fixed an issue where some subtitles wouldn't appear in Peragus holograms for non-English version of the game. * Additional restored lines for Kreia-Atris cutscene. * Modified Mebla slightly; you can play again after 'asking questions' but you can no longer ask questions after getting her tie breaker. Traininglap persuasioncheck no longer automatically succeeds. Fixed trainingrun-dialogue not being properly triggered. Fixed several issues with 'improved' or 'deproved' time recognition. * Fixed Lupo not giving credits properly after teammates comment on your Force Persuasion use (my bad). * Persuading Qimtiq once does no longer guarantee 500 bonus credits per win permanently, you need to re-convince him before each race. * Missing VO addded to installer. * Fixed the "forfeit" Swooprace-bug. * Added proper camerapoints to modified tutorial dialogues. * Savegames made during the Atton vs. Sion confrontation on Malachor will no longer crash on loading. * Added missing lightsaber equipped fix (by danil-ch) that made the game also check the off-hand for a lightsaber and detect it. * Modified Mira technique teaching slightly. for more (but not all) fixes from 1.8.2 to 1.8.3. * Made some lines during the prologue (and Nadaa on Nar Shaddaa) "cutscenes" to prevent questupdates breaking the heard line. Added missing update on getting medpacks. First hatch used outside will no longer be removed. * Fixed 'Lost Shadows' not closing proper on a certain ending (both TSLRCM and M4-78EP). * Restored addition HK-47 lines. * Loot fixes; Missing merchants of 1.8 updated, gloves_03 is missing, if it's rolled it will return gloves_02 now instead of no item at all. Fixed rounding issue allowing low-level drops to something not spawn anything (Peragus). * Added a few additional lines to the Korriban introduction. A few more for non-M4-78EP users (they will be taken out upon installing M4-78EP) as those were already in use on that planet's intro. * Added Atton pazaak scene. * Extra camera points post-Peragus cutscene. * Fixes teammates turning upon click during Visas fight, Bao-Dur line's unconscious line was voiced. * The weapon(s) HK was wearing when the HK vs T3 cutscene started are no longer destroyed, but properly unequipped now. * Added a missing Mandalore VO. * Fixed issue with Rubat crystals dissapearing from lightsabers. * Fixed Crush sound effect. * You can now train Beast Control after gaining Beast Trick on Dxun. Beast Trick will appear on the upgrade screen once you gain a prestige class, but it cannot be trained, only given. * "The Polar Cap", "Telos Under Attack" and "Trayus Academy" now appear in the music table. * 1B, Akkere and Kodin will generate one of 4 HK parts randomly now, instead of basing it on the players' possessed items (which could generate the pacifist package if all 4 were in the PC's inventory). * Kreia skill-lesson; Automatic completion if awareness was highest skill, unable to complete skill-lesson if awareness was lowest skill. Fixed now. * PC now shows form just learned from the Jedi Master. During mid-battle Masters actually use form instead of flourish (addition by Danil-ch). * Visas' lightsaber will no longer be sometimes invisible during training. * If Bao-Dur is set for Dark Side training but the PC is lightsided, the convo will no longer break without having any more chance to train him. * Fixed same droids when passive allowing disabling option if lower than 0 demolition and higher than 0 demolition, but not when having exactly 0 demolition. It's now possible for them too. * Fixed Harbinger missing if reloading a save after it docked. * Fixed protocol droid with quest update being repaired during and after convo. * Fixed utility droids re-activating if talked to and reloading a savegame. * Wounded Onderon military will only give teammate influence if you kill him yourself, not if he gets killed by Sith. * Fixed black screen if talking to a Handmaiden and goading them to fighting if you won the 5 sister battle. * In attempt to prevent the teammate corruption (which I could not reproduce) the fade-to-black will now last longer, until the sisters turns actually hostile. * Handmaiden will lower her hood when loading the module from a savegame. * Handmaiden will no longer always be send with male PC's. Depending on your choices in Atris dialogue she will now be send or crawl on your plane, with slight variations in a few cutscenes as result. * Aesthetical fixes to cutscene where Atris sends Handmaiden with the exile. * Some aestetical improvements to the cutscenes in the endgame of the Academy. * Fixed quest update from Lorso about luring Batono in a trap being set too early. It will only appear now if the actual global is also set to allow this option. * Corrected missing "Exchange" quest update in 3 different instances. * Bumani Corp Gammorean use proper dialogue line now. * Hidden academy camera changes to show force field. * TSF will no longer assist you in killing the Sullustan. * Swoop Droid no longer sounds like Kinrath. * Extended attack of the Serroco. * Saquesh; Allows you to "[intimidate] Stop pressuring the Refugees" if Serroco attacked them and intimidation option for Adana will no longer automatically fail. * Fixed killing Geriel possibly reopening Refugee Woes. It now no longer updates the quests, since the proper updates are already set talking to Saquesh instead, and as stated, was buggy. * Docks scene with Mira; Hanharr no longer takes 9 seconds (sometimes leaving a pause) but the duration of the VO-line. * During Mira or Hanharr's escape an actual alarm now sounds. * Reinforcements at the JJT are no longer deleted after the cutscene deploying them. * JJT Map back popup dialogue fixed. * You can no longer dance for the Twi'lek domo during the run to the JJT (after visquis call). This to prevent the player from missing key triggers. * Zhug Cutscene: Added another global set to the .dlg on an unskippable line as precaution, hopefully fixing the issue some people had with it not being set. * If you turn over shield from secondary to primary AFTER shutting down primary the zhugs will actually spawn now. * If the player overloads the droids now after the bounty hunters spawn, the droids will properly reset to hostile if made friendly, as per the description. * Once the speeder was rebuild, entering the docks or main area would spawn a new one every single time (on top of the old version, causing great performance issues after a while). This has been corrected, and they will only spawn once. * Turning Lootra over to the Exchange will wield a lightsaber now too (like all other quest-resolutions), and will no longer be seen as a "light side" action by your team members. * If you lied to Sasquesh and he sold Adanna fast, then killed him, "Sold to the Hutts" would re-open with no way of finishing it anymore. This has been fixed. * Goto's Yacht console; fixed issue with count's 8 and 9 on consoles being broken and disallowing interaction with the console ever again. * Slight improvements to Kreia's dialogue post-Onderon if Bao-Dur was Dxun Tomb leader. * Remote is now present if Bao-Dur is the leader of the Dxun Tomb group (thanks JCarter426). * During the LS conversation with Kavar, asking about Telos no longer locks "I saw the holorecording of my trial." It will instead lock if you ask that. * Dxun camp: The Gate Guard and Patrol guard will now keep patrolling after being talked to, rather than permanently stop at that point. * Onderon Western Merchant Quarters: Fixed error with citizen dialogue not looping properly. * When the Handmaiden apprehends Kreia, she should have her hood down. It wasn't working however, since the animation was set for the Handmaidens event instead of the Handmaiden one. * Zherron will now take the will and bodies out of the player's hands when receiving an unmodified will, instead of having you drag them through the entire game (fake will worked fine). * Fixed issue with restored Vrook line not turning him hostile properly in the cave. * Fixed infinite Kinrath crystal spawn bug. * Fixed HK's infront of the academy not updating questlog if 3rd group (display issue, the cutscene would have still triggered on the Hawk). * During the jedi academy reveil, added clairvoyance effect if Kreia was not in party, and it no longer loops the animated camera (thanks danil-ch). * During rebuild enclave, removed 3rd party member if entering with Kreia, as (s)he was getting in their pathing's way. * Mandalore can no longer run away from his solo-fight. * Set hyperspace as EH background when leaving, so it's used during the pre-Malachor cutscene. * You can no longer start the battle with Nihilus without him draining you (since that's the ingame way to tell why the exile can defeat Nihilus when no-one else can). * Made the fade-in node unskippable since you could, and never make the fade-in. * Expanded the kneel and get drained a bit, instead of it instantly leading to combat. * There's no long pause after killing Visas. * Visas Suicide; Users where the animation fails (no saber, no clothing, etc) will no longer be stuck on a blackscreen. * Visas Suicide; Users where the animation works will no longer see Visas falling to the ground twice before dying. * Changed Mira camera angle during her lift. * Fixed issue with team turning off their lightsabers if Mira was not in the party during Malachor. * Light side players will no longer throw the endboss down the core of Malachor. ** Fixes window near Tienn not being see-through. Now you can see Tienn from the docks. ** Because, apparently, we overlooked one. Splicing was done well too. * Main screen logo updated to 1.8.2, and it no longer inverts suddenly sometimes (thanks Darth_Sapiens). For the best effect remove the kotor2logo.txi 1.8.1 had if you patched up to version 1.8.2 from 1.8.1. * A few addition grammar fixes. * Bao-Dur can now use cyan and bronze crystals to create your first saber. Also fixes the issue where you'd get stuck if you only had a cyan crystal and no other. Vanilla issue, only became apparent now since a no-longer broken since 1.8 store on Telos has a fixed Cyan crystal. * The workbench will now use the skill of the user, instead of the PC when dismantling items for components. * Fixed broken questupdate with the sabotaged protocol droid on the Harbinger (thanks Josh D for finding this). * Telos, thugs infront of the door to the Exchange compoud; Removed automatic Ithorian journal update, need to actually ask for Loppak and be refused for the journal to update. * Nar Shaddaa, Pazaak Den; Fixed potential convo-break for males with Dahnis. * The Security Spike Tunneler now uses the correct skin (it used to look just like the Security Spike, even if it had an unique icon). * Onderon; Removed the "A Matter of Leadership" mission from your questlog if you leave the planet without finishing it. * Several improvements to the Rebuild Jedi Enclave cutscene on Dantooine. 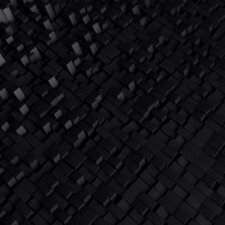 * Telos surface; Added lipsync to one of Atton's line since it was missing. * Updated Vash bodies' lightsaber drop. * The Jedi Weapon Master and Sith Maurader may purchase the Condition (+saving throw) line of feats. * Restored the Mobility feat. The mobility feat gives a 10% increase in movement rate. 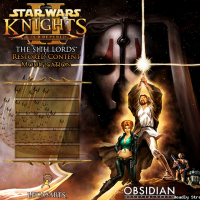 * Modified KOTOR main screen texture (used in the main menu and on loading screens) to make it easier for Steam and KOTOR-compilation users to notice if TSLRCM is properly installed, considering they do not have a launcher, and "how do I notice it's installed properly" was becoming a very popular question. NOTE: When using the patch it's only an indication that the patch installed properly, not 1.8 as a whole. If in doubt, please re-install TSLRCM 1.8.1 using the full installer. If the main screen is updated then it indicates the entire mod is updated properly. * Includese Inverted Droid Feat Gain by Hassat Hunter. ** Fixes the feat gain progression of T3 and Goto being swapped around with the feat gain of HK-47. It's correct now, with HK-47 gaining more feats than them rather than less. * Fixed convo break with Nar Shaddaa arrival scene for male players, and fixed requirement check in convo scanning for handmaiden instead of Visas, leaving Disicple's convo options untriggerable. * Fixed breaking Nar Shaddaa questline by talking to Ratrin before Cahhmakt. This is no longer possible. * Fixed bug where talking to Cahhmakt with an NPC instead of the player would leave that NPC "locked", unable to join your party. * Fixed issue on Ebon Hawk with post-Peragus dialogue with Atton not proceeding properly to the Lightsaber dialogue if certain dialogue options were selected. * Fixed Handmaiden's armor not being properly returned to the inventory when dueling on the Ebon Hawk. * Corrected small issues with Malachor loading screen story hints, like the first being completely blank. * Included updated k_003ebo_enter.nss and a_next_scene.nss to 003EBO.mod for modmakers, the version included with 1.8 was outdated. * Fixed subtitle error; HK when talking about "his whiny allies" subtitles "her whiny allies". * Fixed Zhug brother mentioning "him" for female PC's on Goto's Yacht. * On Dantooine right outside the Ebon Hawk, when asking the "Battered Protocol Droid" what it knows specifically of your character, it says "You are on the register as one of the Jedi who left the Enclave to fight in the Mandolorian Wars. Should be spelt "Mandalorian." * Fixed map note in the HK factory missing it's description. * Fixed minor typo when clicking on the locked door for the reserved section in the Jekk Jekk Tarr. * Game Balance Mod by Achilles - ONLY use Autobalance.2da, don't use any of the other files with the mod!!! * Improved AI by Stoffe (AKA RevanAnt) - While this mod mostly works, it cause some problems with one scene on Nar Shaddaa (you might be unable to select a third teammember during a cutscene and then have to weather some hard battles with just Bao-Dur and Atton). * Enchanced Merchants by Shem - We've modified many of the merchants, for the modified loot drops and other fixes, which will most likely be undone by using this mod. So be aware of that! *Kamaitachis Epic Armours - Read the full description to see how to make it properly work with TSLRCM! * M4-78 by Stoney - Use M4-78EP instead! The following mods are INCOMPATIBLE! Do NOT use these when using TSLRCM 1.8.5! This is by no means a full list. Mods not listed here can still be incompatible. If you're in doubt, check or ask in our forums! The currently most known list is located at http://deadlystream.com/forum/topic/393-mod-compatibility-list-for-tslrcm-183. You can post questions at http://deadlystream.com/forum/topic/2795-inquiries-on-mod-compatibility-list-for-tslrcm-183/. Q. I am having technical issues with The Sith Lords! A. Try the Steam forums. Even if you do not possess the game it does contain many threads about issues and their sollutions, a quick search might just find you the answer you need. Q. How do I know TSLRCM is installed? The main screen is unchanged. A. If the mainscreen is unchanged, TSLRCM isn't installed. Mostly this is related to people installing to the wrong location. Double-check yours (see install instruction #4). Q. Crash when loading a savegame. The loading screen is corrupted by strange lights all over it. In the Nvidia control panel put Threaded Optimization to "OFF" and uncheck the "read-only" property of your KotOR II directory. Q. There are no Handmaidens at the academy/Stuck infront of the Hawk after the Academy. A. You have overwritten our appearance.2da with an incompatible version of another mod, missing certain key entries needed for TSLRCM to work properly. If you still have the original TSLRCM appearance.2da replace it, otherwise a full re-install of TSLRCM is required. In both cases a save is needed from before entering the academy. Q. I lost my team at the academy/black screen when entering Ebon Hawk after academy/Atton, Kreia or Bao-Dur don't talk to me when I click them. A. Sadly, this is a vanilla bug we cannot fix, since the files cannot be de-compiled. It's related to fighting the Handmaiden sisters on the battle mat and "cheating" before they become hostile, giving an error in the script to return your team members. You will have to load a save from before this fight. Q. After changing the Ebon Hawk's transponder codes, the Duros scene repeats itself and Goto's Yacht doesn't load. Q. I cannot spar with the Handmaiden! A. Due to a bug, sparring with Handmaiden while in outer space (directly after leaving the Telos Academy) made the fight unwinnable. So for TSLRCM you will have to travel to another planet, exit and re-enter for the option to appear, giving a glitch-free sparring. It's not gone, no worries! Q. When the HK Factory loads, I am spawned on Telos as the Exile, instead of as HK-47 / I get a black screen when arriving on Malachor. I use USM. A. TSLRCM 1.8.5 is not USM compatbile. Q. The game crashes when the Nihilus/Visas or Nihilus/Tobin cutscene loads. A. Delete n_darthnihilu001.ntc from your override. Q. While in Visquis' lair, when Kreia revives Hanharr, it suddenly turns back to Atton. A. Delete p_kreia001.utc from your override. Q. Double Atrises during final confrontation/No dialogue after sisters are defeated. Q. No HK-Torture scene/Missing restored EH-scenes/Get stuck in Ebon Hawk on my way to Malachor. A. Delete k_003ebo_enter.ncs from your override. Q. Dialogue fast-forwards/cutscenes without sound. A. Engine issue. Not caused by TSLRCM. Unfortunately, we cannot fix this. May this happen, do a full reboot of the game, and it should work properly again. Q. I have issues with the grass on Dxun/Rebuild Enclave. Q. Why haven't you fished the issue on Peragus where you need to lower the difficulty to proceed as T3? A. This is no issue. Playing on hard you need another way through the door rather than the mine, deleting some goodies in the process. It's not required to lower your difficulty. Q. Does the mod include [x]? Q. Why did you fix [x], that wasn't a bug, that was a feature. Q. My question is not answered here! Run uninstall program created in your game's main directory. On the Steam Workshop unsubscribe. Thanks to DeadlyStream for giving us space on his forums and all the people of the TSL community that helped with bug finding in the beta. Thanks to tk102 for the dlg editor. Thank you to the members of Team Gizka for finding out about the missing HK factory modules and all the content that was cut from KotorTSL and making sense of it all, because without all their previous efforts and hard work none of this would be possible. Thanks to Jdnoa and Dashus for the tools they created for which none of this would be possible without them. A special thanks to Ulic for his original Peragus mod; while none of his work or files were used in our fixing of Peragus, a lot of his ideas and “how” things were changed were the inspiration for how we tackled them. His list of fixed stuff in the readme helped too! THIS MODIFICATION IS PROVIDED AS-IS AND IS NOT SUPPORTED BY BIOWARE/OBSIDIAN ENTERTAINMENT OR LUCASARTS OR ANY LICENSERS/SPONSORS OF THE MENTIONED COMPANIES. USE OF THIS MODIFICATION IS AT YOUR OWN RISK. THE ABOVE MENTIONED COMPANIES OR THE AUTHOR ARE NOT RESPONSIBLE FOR ANY DAMAGE CAUSED TO YOUR COMPUTER FOR THE USAGE OF THIS MODIFICATION. ThESE modS may not be modified or REdistributed without the explicit permission of the authors. Star Wars: Knights of the Old Republic™ , characters, items, etc. are trademarks and copyrights owned by their respective trademark and copyright holders. Star Wars: Knights of the Old Republic: The Sith Lords™, characters, items, etc. are trademarks and copyrights owned by their respective trademark and copyright holders. and the Odyssey Engine are trademarks of Bioware Corp.
is a trademark of Obsidian Entertainment. are owned by their respective trademark and copyright holders.